Thank you for your reaction, report and the recording. Yes conditions dropped in the 2nd hour. This week we only have 1 hour. Good to read that you finally received the QSL card and sticker. Have checked your website, very nice. In the att. 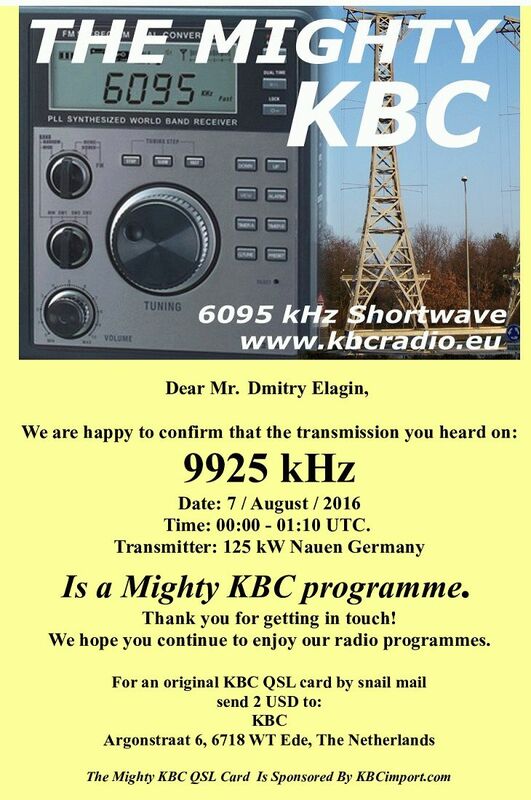 our QSL letter. Have a great week and thank you for your support.